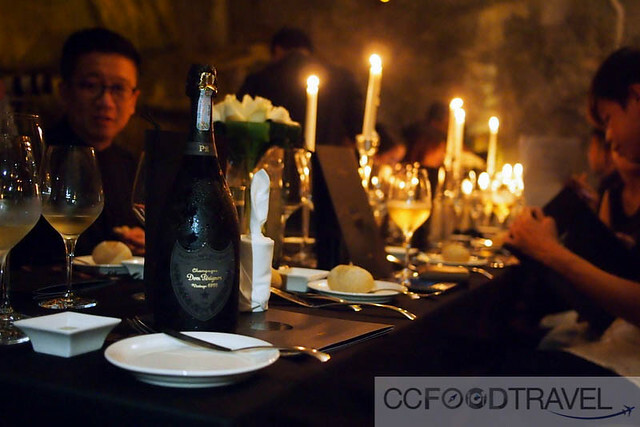 Just a few days from our return from Japan, Moet Hennessy Diageo whisked us away to a mystery location for the revealing of Dom Pérignon Second Plénitude (P2-1998), the Second Plenitude of the premiere champagne maker. As we embarked on the highway in heavily tinted black Alphards, the guests took turns guessing the destination. 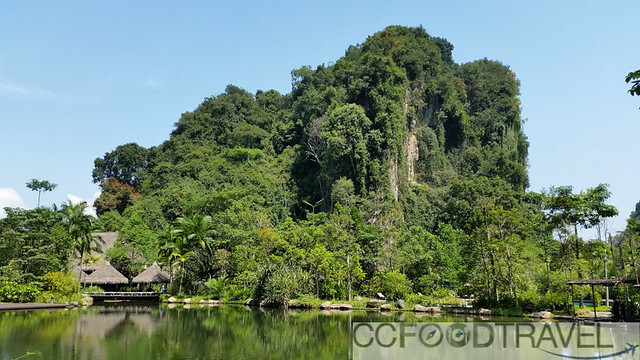 None of our guesses were right as we rolled into Banjaran Hotsprings, a retreat not too far away from Ipoh, the former tin mine town in the Perak state. 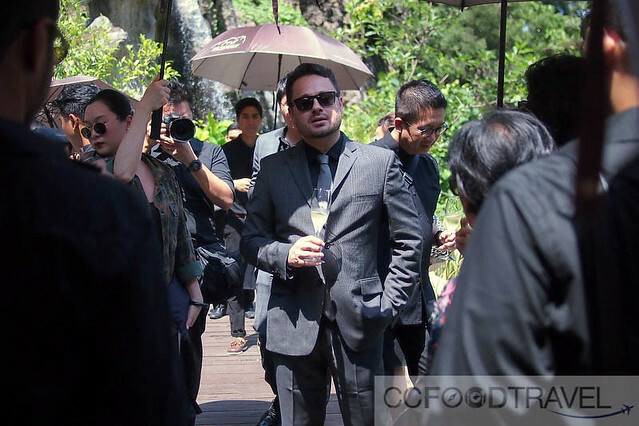 As we walked into the resort surrounded by limestone outcrops and natural hotsprings, we were greeted by Charles-Antoine Picart, Dom Pérignon’s Brand Ambassador. 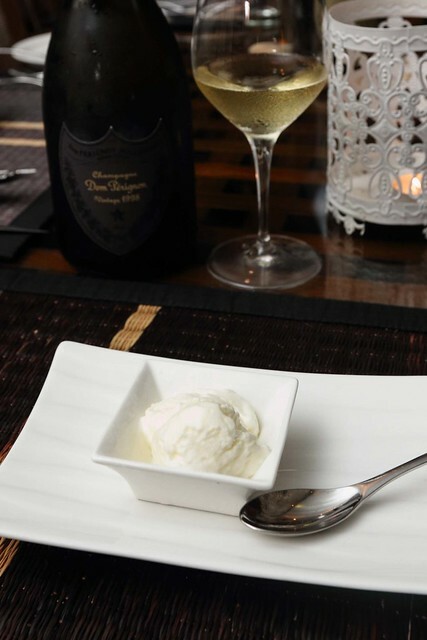 Glasses of Dom Pérignon Blanc Vintage 2004 were served. What a welcoming sight especially since the afternoon heat was at its peak. 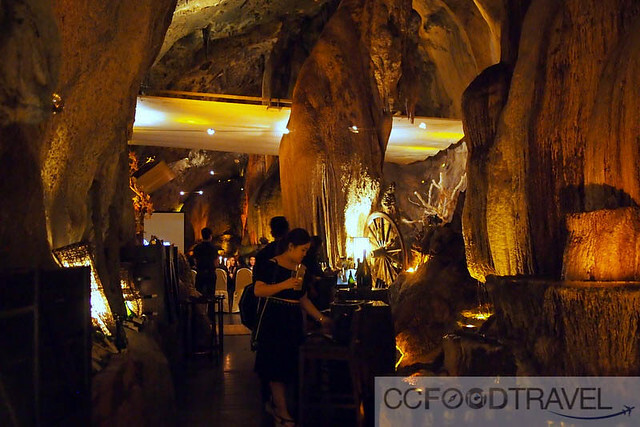 After having relished our welcome bubbly, we were ushered away from the heat into Jeff’s Cellar, a wine cellar and dining area built inside a 280-million year Palaeozoic cave. 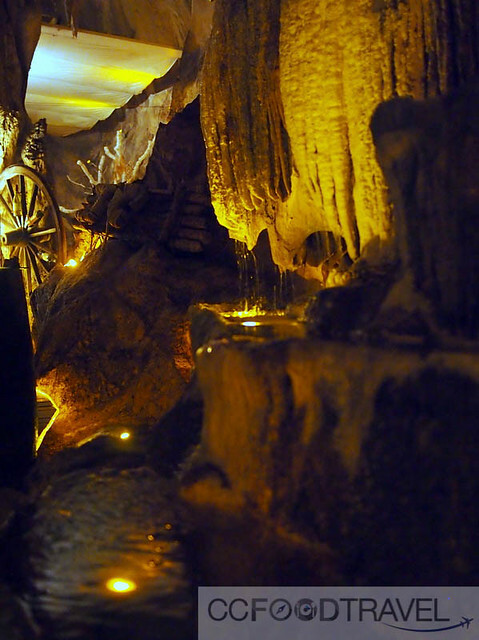 This location with its ancient stalactites and stalagmites was awe-inspiring – charged with energy that matched the personality of Dom Pérignon’s Second Plénitude. Dom Pérignon only releases vintages and the P2-1998 is another rare vintage matured past 16 years to reach its definitive potential and precision. 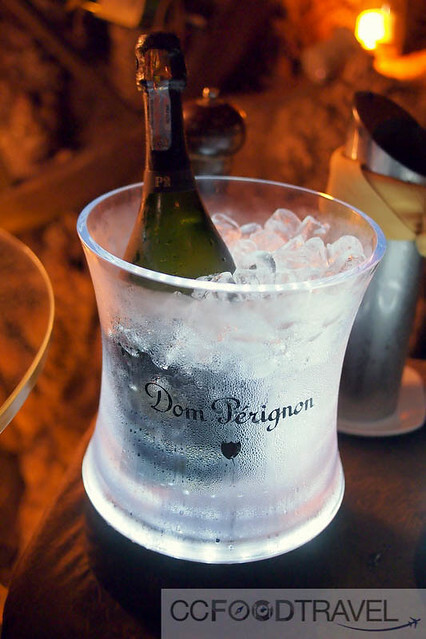 Dom Pérignon defines “Plentitudes” as leaps in the maturation process of the sparkling wine between less active periods. First: the seven- to eight-year mark, which is when Dom Pérignon Vintage is released. 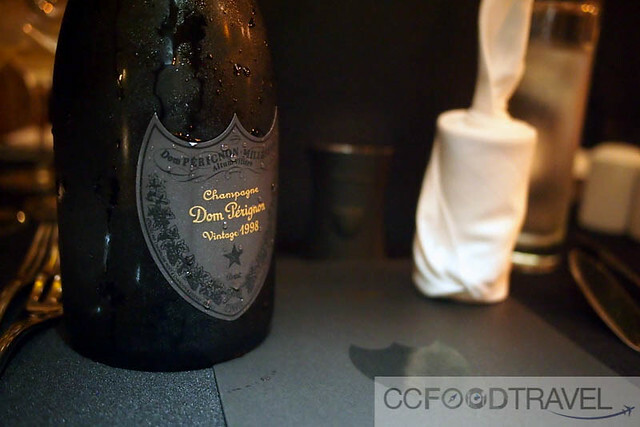 Second: between 12 and 15 years (or more depending on the Chef de Cave’s evaluation on the elaboration standards), is now known as P2 and labelled as such on the neck of the Dom Pérignon bottles. Third: occurring at around 30 years later and is labelled as P3. So how did I like the P2? Well, despite all the extra aging it had not gotten fatty or woody and maintained its delicate structure. It did however, possess enhanced qualities and all the great traits as the regular version, in a more apparent fashion. This version was intense, vibrant and more penetrating. Adjectives such as full, aromatic, spicy, dark, iodine-like come to mind, when describing the P2. Our gourmet lunch experience had been crafted by Chef of Moët & Chandon and Dom Pérignon, Chef Pascal Tingaud, renowned internationally, and within the Champagne region for his gastronomic excellence. 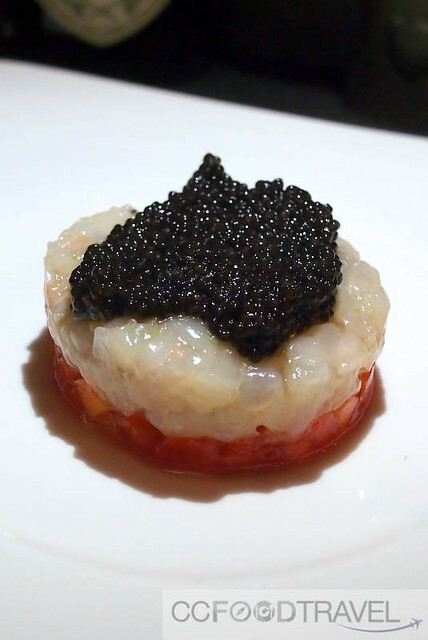 Our epicurean journey started with strong ocean flavors of langoustine and caviar. So bold was its sea flavors on top of chopped papaya, we felt the salty dish overwhelmed the 2004 vintage. The seabass did not impress us on the palate. The fish coated in shellfish juice tasted bland. The dish had a texture of sliminess which took getting used to. 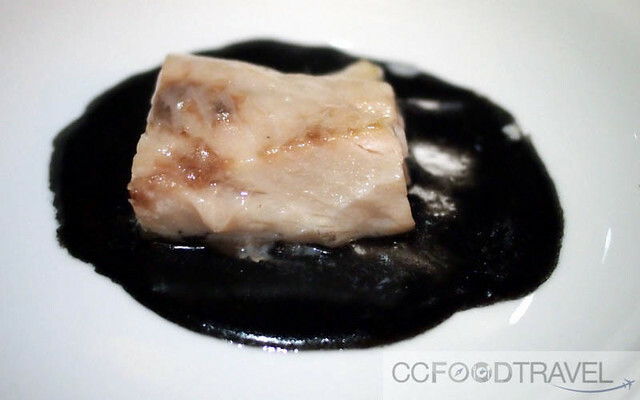 Its pairing with Dom Pérignon Blanc Vintage 2004, however, did not clash. The low sodium content of the feast allowed the sparkling wine to manifest its mineral notes and dry flavors of almond and powdered cocoa. We felt this was an adventurous dish. Not so much for its spicy Asian flavors but the attempt by the Chef to introduce his interpretation of a curry to Asian diners, and to have a spicy dish paired with a special vintage. The guinea-fowl deboned and its lean meat made into a roulade tasted pleasant. 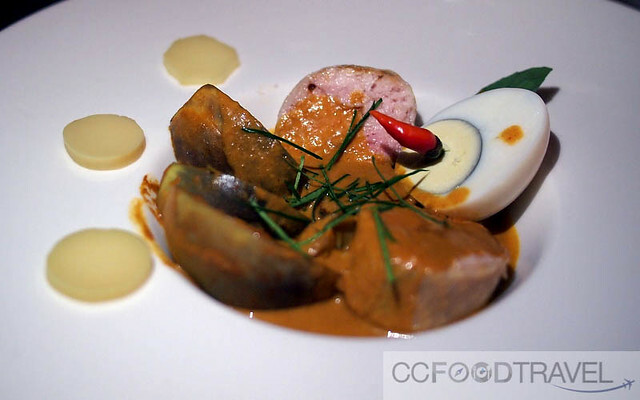 The spice and chilli levels used were minimal – that is, from the palate of a local person. A single bird’s eye chili was added not just for plating purposes but for those seeking more heat. One diner did bite into the chilli which he duly reported was like biting into a little furnace. Again, very low salt used in the dish, making the flavors rather subdued. Its low spice content went well with P2-1998’s intense, full and radiant mineral flavors. Some sparkling wines tend to increase the chilli heat on the tongue but P2’s finer bubbles (compared with vintage 2004) did not show this occurrence therefore making the dining experience very pleasant. This was probably our favourite. Osmanthus has recently become popular in jelly form at several Chinese banquet style restaurants. This version made into a sorbet had more fragrance. When eaten, it had a camembert-like texture and flavor with sweetness of a cold dessert. It is probably this fromage resemblance that leads to its excellent pairing with the vintage P2-1998. Well balanced with equal footing on the bouquet. We wanted more of both. 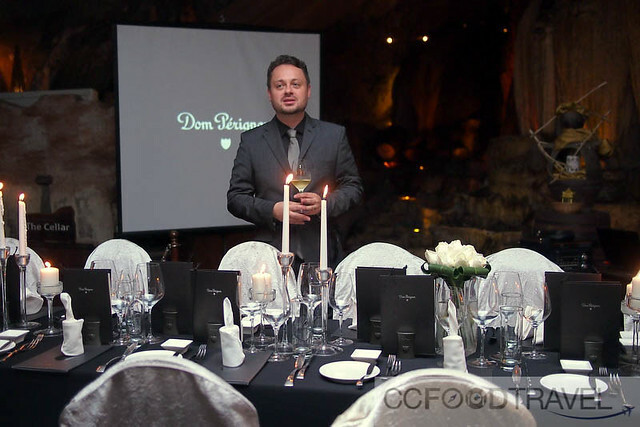 The classy food created by Chef Pascal combined with a unique dining location in a cave created a perfect avant-garde like experience embodying the spirit and position of the new champagne release. Definitely a crate to keep in the cellar for champagne aficionados. SOOOO LARKY, sobs, MHD has forgotten us lesser mortals. kill me nowww, pass me a rusty spoon to stab myself with.